148. Kathryn Jennifer A'COURT  (Dorothy Clunie DRAKE77, Walter Francis DRAKE36, Walter Clunie DRAKE19, Margaret Clunie FYFE12, George11, John1) was born 03 Feb 1947 in Wellington Wellington New Zealand. Kathryn married Russell James MARTIN  [MRIN: 4410] in 1972 in New Zealand. 324 F i. Elizabeth Ann MARTIN  was born in 1974 in Wellington Wellington New Zealand. 325 F ii. Alexandra Ruth MARTIN  was born in 1977 in Lower Hutt Wellington New Zealand. 149. Alan Stanley James A'COURT  (Dorothy Clunie DRAKE77, Walter Francis DRAKE36, Walter Clunie DRAKE19, Margaret Clunie FYFE12, George11, John1) was born 25 Aug 1949 in Wellington Wellington New Zealand. Alan married Jill Arini ATKINSON  [MRIN: 4411] in 1973 in New Zealand. 326 F i. Abagail Sarah A'COURT  was born in 1979 in Lower Hutt Wellington New Zealand. 327 M ii. Harry James A'COURT  was born in 1981 in Lower Hutt Wellington New Zealand. 150. Christine Beverley DRAKE  (Walter Charles DRAKE78, Walter Francis DRAKE36, Walter Clunie DRAKE19, Margaret Clunie FYFE12, George11, John1) was born 25 Oct 1945 in Wellington Wellington New Zealand. Christine married Criton KASBY  [MRIN: 4413] in 1969. Criton was born 29 Jan 1946. 328 F i. Amelia Raine KASBY  was born 17 Nov 1974. 329 F ii. Helen Elizabeth KASBY  was born 31 Aug 1976. 330 M iii. Peter Charles Nicholas KASBY  was born 14 Jan 1980. 331 M iv. Julian Alexander KASBY  was born 18 Nov 1985. 151. Anthony Richard DRAKE  (Walter Charles DRAKE78, Walter Francis DRAKE36, Walter Clunie DRAKE19, Margaret Clunie FYFE12, George11, John1) was born 22 Jul 1950 in Wellington Wellington New Zealand. Anthony married Janet Marjorie LAMB  [MRIN: 4414] in 1982 in New Zealand. Janet was born 09 Feb 1953. 332 F i. Elenor Francis DRAKE  was born 28 May 1983. 333 M ii. Christopher Bernard DRAKE  was born 31 Oct 1987. 152. Nicholas Paul DRAKE  (Walter Charles DRAKE78, Walter Francis DRAKE36, Walter Clunie DRAKE19, Margaret Clunie FYFE12, George11, John1) was born 11 Jul 1960 in Takapuna Auckland New Zealand. Nicholas married Anne  [MRIN: 13386]. 334 M i. Joshua DRAKE  was born in 2005. 153. Susan Beatrice BALLARD  (Beatrice Clara DRAKE79, Walter Francis DRAKE36, Walter Clunie DRAKE19, Margaret Clunie FYFE12, George11, John1) was born 06 Oct 1944 in Christchurch Canterbury New Zealand. Susan married David John LEE  [MRIN: 4416] in 1970 in New Zealand. 335 M i. Christopher David LEE  was born in 1971 in Wellington Wellington New Zealand. 336 M ii. Nicholas John LEE  was born in 1973 in Wellington Wellington New Zealand. 337 F iii. Katherine LEE  . 154. John Walter Malcolm BALLARD  (Beatrice Clara DRAKE79, Walter Francis DRAKE36, Walter Clunie DRAKE19, Margaret Clunie FYFE12, George11, John1) was born 24 Jun 1948 in Lower Hutt New Zealand. John married Lynley May Hartley SMITH  [MRIN: 4417] in 1972 in New Zealand. 338 M i. Blair Malcolm BALLARD  was born in 1978 in Rotarua New Zealand. 339 M ii. Dene Travers BALLARD  was born in 1981 in Rotarua New Zealand. John next married Christine Diana CLOUGH  [MRIN: 4418] in 1988 in New Zealand. 155. Bruce Craig NORTHOVER  (Valerie Evelyn DRAKE80, Walter Francis DRAKE36, Walter Clunie DRAKE19, Margaret Clunie FYFE12, George11, John1) was born 09 May 1958 in Palmerston North Manawatu New Zealand. Bruce married Karen Ann HENDERSON  [MRIN: 4420] in 1980 in New Zealand. 340 M i. Bryan John NORTHOVER  was born in 1987 in Lower Hutt Wellington New Zealand. 341 F ii. Sarah Anne NORTHOVER  was born in 1989 in Lower Hutt Wellington New Zealand. 156. Janet Olive NORTHOVER  (Valerie Evelyn DRAKE80, Walter Francis DRAKE36, Walter Clunie DRAKE19, Margaret Clunie FYFE12, George11, John1) was born 10 Aug 1960 in Wellington Wellington New Zealand. Janet married Evan Kemp Langley PALLESEN  [MRIN: 4421] in 1982 in New Zealand. 342 F i. Aileen Elizabeth PALLESEN  was born in 1983 in Wellington Wellington New Zealand. 343 F ii. Renee Christine PALLESEN  was born in 1988 in Lower Hutt Wellington New Zealand. 344 M iii. Steven James Godfrey PALLESEN  was born in 1989 in Lower Hutt Wellington New Zealand. 157. Lloyd Eldon DRAKE  (Eldon Clunie DRAKE81, Clunie James DRAKE37, Walter Clunie DRAKE19, Margaret Clunie FYFE12, George11, John1) was born 12 Feb 1945 in Auckland Auckland New Zealand, died 14 Feb 1976 in Rotarua New Zealand at age 31, and was buried in Papakura Auckland New Zealand. Lloyd was an Auckland champion sidecar rider, and died after an accident on the Rotorua Speedway Track. Lloyd married Christina Daphne Mary GIBBONS  [MRIN: 4424] in 1968 in Papatoetoe Presbyterian Church Auckland New Zealand. Christina was born 20 Jul 1948 in Invercargill Southland New Zealand. 345 M i. Jason Dean DRAKE  was born in 1971 in Pukekohe Auckland New Zealand. 158. Laraine Joan DRAKE  (Eldon Clunie DRAKE81, Clunie James DRAKE37, Walter Clunie DRAKE19, Margaret Clunie FYFE12, George11, John1) was born 22 Jan 1947 in Rangiriri Auckland New Zealand. Laraine married Peter Matthew NORMAN  [MRIN: 4425], son of William Ashley NORMAN  and Alwyn May PITTAWAY , 15 Jul 1983 in St.John's East Tamaki Auckland New Zealand. Peter was born 27 Apr 1946 in Invercargill Southland New Zealand. 346 F i. Cushla Laraine NORMAN  was born 05 Jun 1984 in Invercargill Southland New Zealand. 347 M ii. William Arthur NORMAN  was born 09 May 1986 in Invercargill Southland New Zealand. 159. Roslyn Judith DRAKE  (Eldon Clunie DRAKE81, Clunie James DRAKE37, Walter Clunie DRAKE19, Margaret Clunie FYFE12, George11, John1) was born 16 Aug 1951 in Rangiriri Auckland New Zealand. Roslyn married Brian James GALLOWAY  [MRIN: 4426] 24 Jan 1973 in Auckland Auckland New Zealand. 348 M i. Glen James GALLOWAY  was born 07 Jun 1979 in Auckland Auckland New Zealand. 349 M ii. Lloyd Paul GALLOWAY  was born 13 Mar 1981 in Auckland Auckland New Zealand. 350 F iii. Amy Roslyn GALLOWAY  was born 29 May 1983 in Auckland Auckland New Zealand. 160. Rex James DRAKE  (Eldon Clunie DRAKE81, Clunie James DRAKE37, Walter Clunie DRAKE19, Margaret Clunie FYFE12, George11, John1) was born 16 Aug 1951 in Rangiriri Auckland New Zealand. General Notes:Rex completed an apprenticeship as a tradesman fitter/welder at LeesIndustries in Papakura. He then combined work and sport to workinternationally as a builder of racing cars. He now works in industrialand heavy machinery, and rebuilds cars as a hobby. Rex married Gloria Mavis THOMPSON  [MRIN: 4427] 29 Mar 1975 in Waiuku Methodist Church New Zealand. Gloria was born 07 May 1953. 351 F i. Kylie Joan DRAKE  was born 21 Jan 1980 in Auckland Auckland New Zealand. Rex next married Karen CROSS  [MRIN: 4428], daughter of Charles W CROSS  and Agnes G GANSKI , 17 Dec 1989 in Villa Felice Los Gatos California USA. Karen was born 12 Feb 1955 in Evanston illinois USA. General Notes:Karen was educated in California at Fremont High School in Sunnyvale andDe Anza College in Cupertino. She is employed by the Good SamaritanHealth System as an accountant, and her interests include needlework andcraftwork. 161. Graeme Maurice SCHUBERT  (Zoe Margaret DRAKE82, Clunie James DRAKE37, Walter Clunie DRAKE19, Margaret Clunie FYFE12, George11, John1) was born 02 Nov 1947 in Auckland Auckland New Zealand. Graeme married Averil Mary BERENDT  [MRIN: 4430] in 1972 in New Zealand. 352 M i. Deon Raphael SCHUBERT  was born in 1972 in Auckland Auckland New Zealand. 162. Bryan Stanley SCHUBERT  (Zoe Margaret DRAKE82, Clunie James DRAKE37, Walter Clunie DRAKE19, Margaret Clunie FYFE12, George11, John1) was born 14 Jun 1951 in Auckland Auckland New Zealand. Bryan married Judith Ann WALDEN  [MRIN: 4431] 25 Jul 1970 in New Zealand. Judith was born 12 Dec 1951 in Papatoetoe Auckland New Zealand. 353 F i. Janelle Anne SCHUBERT  was born 11 Feb 1971 in Papatoetoe Auckland New Zealand. 354 M ii. Damon Bryan SCHUBERT  was born 02 Jul 1973 in Henderson Auckland New Zealand. Bryan next married Claire Yvonne PATERSON  [MRIN: 4432] 01 Jul 1978 in New Zealand. Claire was born 21 Dec 1951 in Auckland Auckland New Zealand. 355 M i. Rod Keogan SCHUBERT  was born 24 Jan 1981 in Papakura Auckland New Zealand. 356 F ii. Brylee Nardia SCHUBERT  was born 31 Jan 1983 in Papakura Auckland New Zealand. 163. David Murray SCHUBERT  (Zoe Margaret DRAKE82, Clunie James DRAKE37, Walter Clunie DRAKE19, Margaret Clunie FYFE12, George11, John1) was born 28 Dec 1958 in Auckland Auckland New Zealand. David married Anna  [MRIN: 4433] about 1990. 357 M i. Oscar SCHUBERT  was born about 1992. 358 F ii. Zoe Margaret SCHUBERT  was born 12 Jul 1994. 164. Barry Ronald SCHUBERT  (Beryl Verna DRAKE83, Clunie James DRAKE37, Walter Clunie DRAKE19, Margaret Clunie FYFE12, George11, John1) was born 05 Jan 1951 in Auckland Auckland New Zealand. Barry married Christina Patricia COE  [MRIN: 4435], daughter of Ian Harold COE  and Elizabeth Lenore CLARK , 13 Mar 1971 in Mt Roskill Auckland New Zealand. Christina was born 19 Apr 1951 in Birkenhead Auckland New Zealand. 359 F i. Rebecca Michelle SCHUBERT  was born 16 Feb 1974 in Auckland Auckland New Zealand. 360 M ii. Scott Allan SCHUBERT  was born 17 Dec 1976 in Auckland Auckland New Zealand. 165. Denis Robert SCHUBERT  (Beryl Verna DRAKE83, Clunie James DRAKE37, Walter Clunie DRAKE19, Margaret Clunie FYFE12, George11, John1) was born 30 Apr 1955 in Auckland Auckland New Zealand. Denis married Beverely Melva ROSS  [MRIN: 4436], daughter of Lesley Andrew Steele ROSS  and Margaret Selwyn BASKETT , 08 May 1982 in St.Helliers Auckland New Zealand. Beverely was born 24 Jul 1959. 361 M i. Benjamin Denis SCHUBERT  was born 13 Dec 1986 in Auckland Auckland New Zealand. 362 F ii. Anna Samantha Jane SCHUBERT  was born 20 Feb 1988 in Auckland Auckland New Zealand. 169. Janice Elizabeth CLARK  (Doris Elizabeth DRAKE85, Clunie James DRAKE37, Walter Clunie DRAKE19, Margaret Clunie FYFE12, George11, John1) was born 11 Apr 1964 in Onehunga Auckland New Zealand. Janice married David Peter Richard PACE  [MRIN: 4439], son of Unknown and Mary C , 13 Feb 1988 in St.Martin's Mt Roskill Auckland New Zealand. David was born 21 Sep 1961 in Otahuhu Auckland New Zealand. 363 F i. Sarah Ann PACE  was born 06 Jun 1992 in Auckland Auckland New Zealand. 364 M ii. Darren Richard PACE  was born 02 Nov 1994 in Auckland Auckland New Zealand. 365 F iii. Monique Gladys Elizabeth PACE  was born 16 Feb 1998 in Auckland Auckland New Zealand. 170. Robyn Ann CLARK  (Doris Elizabeth DRAKE85, Clunie James DRAKE37, Walter Clunie DRAKE19, Margaret Clunie FYFE12, George11, John1) was born 31 Oct 1965 in Auckland Auckland New Zealand. Robyn was educated at May Road Primary School, Mt Roskill Intermediate and Lynfield College. She then worked as a drug pricing officer for the Health Dept, in accounts at Stars Travel Agency, and as a nurse aide at the Masonic Village. She travelled to Bali with her sister Jan, and later went to England and the Continent for a year. She met Paul on a Contiki Tour through Europe, and later returnedto Melbourne. Robyn is a member of the Plunket committee and is the Car Seat Co-ordinator for the Mt Roskill and Lynfield areas. Robyn married Paul Raymond THORN  [MRIN: 4440] 26 Jan 1991 in St.Martin's Mt Roskill Auckland New Zealand. Paul was born 21 Feb 1964 in Australia. 366 M i. Matthew Charles THORN  was born 27 Sep 1992 in Auckland Auckland New Zealand. 171. Allan Charles CLARK  (Doris Elizabeth DRAKE85, Clunie James DRAKE37, Walter Clunie DRAKE19, Margaret Clunie FYFE12, George11, John1) was born 15 Jul 1969 in Auckland Auckland New Zealand. Allan was born at Auckland. He was educated at May Road Primary School, Mt Roskill Intermediate and Lynfield College. He learnt the trade of fitter-welder at Carrington Technical College, then worked at Onehunga for a year before taking up an apprenticeship with Cooke Heating in Penrose. He spent 6 mths in England on a working holiday. He has also done security work part-time, and enjoys fishing. Allan married Stephanie  [MRIN: 4731] 04 Oct 1998 in New Zealand. 367 F i. Natasha CLARK  was born about 1999 in Auckland Auckland New Zealand. 173. Halford Pieter CEDERHOLM  (Cedric Halford CEDERHOLM89, Marion Florence DRAKE39, Walter Clunie DRAKE19, Margaret Clunie FYFE12, George11, John1) was born 13 Jan 1959 in Wellington Wellington New Zealand. Halford married Jacqueline Anne GIBBS  [MRIN: 4445] 28 Oct 1991 in Wellington Wellington New Zealand. Jacqueline was born 29 Jun 1966 in Wellington Wellington New Zealand. 368 M i. Cameron Halford CEDERHOLM  was born 06 May 1994. 175. Susan Elizabeth Mary THONGER  (Nancy Mary BEERE90, Ethel Mary WHITTEM42, Agnes Clunie BISHOP22, Ann Torn FIFE15, George11, John1) was born 24 Apr 1940 in London England. Susan married Keith Howard LEVERTON  [MRIN: 563], son of Ivor LEVERTON  and Dorothy NAYLOR , 28 Sep 1961 in London England. Keith was born 29 Nov 1938 in London England. + 369 M i. Andrew Howard LEVERTON  was born 26 Apr 1964 in London England. + 370 F ii. Clare Elizabeth LEVERTON  was born 19 May 1966 in Potters Bar Hertfordshire England..
176. Ian James THONGER  (Nancy Mary BEERE90, Ethel Mary WHITTEM42, Agnes Clunie BISHOP22, Ann Torn FIFE15, George11, John1) was born 09 Sep 1943 in Finchley London England. Ian married Angela FORD  [MRIN: 564], daughter of Unknown and Unknown, 04 Nov 1972 in St.Jude on the Hill, Hampstead, London, England. Angela was born 13 Oct 1943 in Finchley, London, England. 371 F i. Louise Nicola THONGER  was born 09 May 1975. 372 F ii. Sarah Philippa THONGER  was born 07 Aug 1978 in Barnet, Hertfordshire, England. Sarah married David STARKEY  [MRIN: 2720], son of Patrick STARKEY  and Maureen MURPHY , 15 Sep 2001 in St.John the Baptist, Harpenden, Herts., England. David was born 09 Nov 1976. 177. Marguerite Avis BEERE  (Douglas Jocelyn BEERE92, Ethel Mary WHITTEM42, Agnes Clunie BISHOP22, Ann Torn FIFE15, George11, John1) was born 07 Sep 1958 in Wellington Wellington New Zealand. Marguerite married Peter Bryant STEEL  [MRIN: 1194], son of Unknown and Unknown, 19 Feb 1988 in Wellington Wellington New Zealand. Peter was born in 1956. 373 F i. Julia Marguerite STEEL  was born 16 Mar 1991 in Wellington Wellington New Zealand. 374 M ii. Edward Bryant Beere STEEL  was born 10 Sep 1993 in Wellington Wellington New Zealand. 375 M iii. Rupert Peter STEEL  was born 11 Jun 1996 in Wellington Wellington New Zealand. 178. Vernon Stewart LITT  (Lorna Katherine STEWART93, Anne Caroline Fannie THANE48, Diana BISHOP25, Ann Torn FIFE15, George11, John1) was born 06 Oct 1940 in Whangarei Northland New Zealand. Vernon married Janet COLSON  [MRIN: 4448] about 1965. 376 F i. Mary Anne LITT  . 377 M ii. Bradley Stewart LITT  . 378 M iii. Alistair John LITT  . 179. Lorna Marion LITT  (Lorna Katherine STEWART93, Anne Caroline Fannie THANE48, Diana BISHOP25, Ann Torn FIFE15, George11, John1) was born 31 Mar 1942 in Whangarei Northland New Zealand. Lorna married Owen Gregory CAMPBELL  [MRIN: 4449] in 1964 in New Zealand. Owen was born 15 Sep 1939. 379 M i. Owen Gregory CAMPBELL  was born 04 Dec 1965 in Papakura Auckland New Zealand. 380 F ii. Katherine Mary CAMPBELL  was born 23 Jan 1967 in Papakura Auckland New Zealand. 381 M iii. Neville John CAMPBELL  was born 24 Nov 1969 in Papakura Auckland New Zealand. 182. Barbara Frances LITT  (Lorna Katherine STEWART93, Anne Caroline Fannie THANE48, Diana BISHOP25, Ann Torn FIFE15, George11, John1) was born 19 Apr 1946 in Whangarei Northland New Zealand. Barbara married Ross Ronald STEWART  [MRIN: 4450] in 1966 in New Zealand. 382 M i. William Ross STEWART  was born in 1967 in Silverdale Northland New Zealand. 383 F ii. Penelope Lorna STEWART  was born in 1970 in Brown's Bay Auckland New Zealand. 384 M iii. Matthew John STEWART  was born in 1973 in Sydney NSW Australia. 186. Pamela Colynne BEERE  (Geoffrey Thane BEERE96, Eva Beatrice Rhoda THANE49, Diana BISHOP25, Ann Torn FIFE15, George11, John1) was born in 1931 in Lower Hutt New Zealand. Pamela married Thomas CAIRNS  [MRIN: 4452] about 1953. Thomas was born 04 Aug 1922. Another name for Thomas is Jock. + 385 F i. Diane CAIRNS  was born about 1955. 386 F ii. Patricia CAIRNS  was born about 1957. + 387 F iii. Paullette CAIRNS  was born about 1959. + 388 F iv. Heather CAIRNS  was born about 1961. + 389 F v. Stephanie CAIRNS  was born about 1963. 390 F vi. Jacqueline CAIRNS  was born about 1965. 391 M vii. Peter CAIRNS  was born in 1969 in Australia. 392 M viii. Andrew CAIRNS  was born in 1971. 187. Gillian Jennifer BEERE  (Geoffrey Thane BEERE96, Eva Beatrice Rhoda THANE49, Diana BISHOP25, Ann Torn FIFE15, George11, John1) was born in 1933 in Wellington Wellington New Zealand. Gillian married William Alexander MORRISON  [MRIN: 4453] in 1956 in New Zealand. + 393 F i. Lynda Jennifer MORRISON  was born in 1957 in Palmerston North Manawatu New Zealand. 394 M ii. John William MORRISON  was born in 1958 in Palmerston North Manawatu New Zealand. John married Joanne Emily BELGRADE  [MRIN: 4547] in 1989 in New Zealand. 395 M iii. David Bruce MORRISON  was born in 1959 in Palmerston North Manawatu New Zealand. David married Katherine  [MRIN: 4548]. 396 F iv. Jennifer May MORRISON  was born in 1962 in Palmerston North Manawatu New Zealand. Jennifer married Philip Eliot ABRAHAM  [MRIN: 4549] in 1986 in New Zealand. + 397 F v. Cindy Jane MORRISON  was born in 1965 in Palmerston North Manawatu New Zealand. 188. Beverely Elaine BEERE  (Geoffrey Thane BEERE96, Eva Beatrice Rhoda THANE49, Diana BISHOP25, Ann Torn FIFE15, George11, John1) was born in 1935 in Wellington Wellington New Zealand. Beverely married Colin James CHEESMAN  [MRIN: 4454] in 1957 in New Zealand. 398 M i. Ian Geoffrey CHEESMAN  was born in 1958 in Wanganui Wellington New Zealand. + 399 M ii. Donald Michael CHEESMAN  was born in 1960 in Wanganui Wellington New Zealand. 400 M iii. Terry CHEESMAN  was born in 1962. 189. Trevor Harley BEERE  (Geoffrey Thane BEERE96, Eva Beatrice Rhoda THANE49, Diana BISHOP25, Ann Torn FIFE15, George11, John1) was born in 1938 in Palmerston North Manawatu New Zealand. Trevor married Stella Mary PARKER  [MRIN: 4455] in 1965 in New Zealand. 401 F i. Sarah Dorothy BEERE  was born in 1966 in Paraparaumu Wellington New Zealand. + 402 F ii. Christine Mary BEERE  was born in 1967 in Paraparaumu Wellington New Zealand. 403 F iii. Julie Marie BEERE  was born in 1968 in Paraparaumu Wellington New Zealand. 404 M iv. Stephen Jeoffrey John BEERE  was born in 1972 in Napier Hawke's Bay New Zealand. 191. Lynette HAYES  (Margaret Wyn BEERE97, Eva Beatrice Rhoda THANE49, Diana BISHOP25, Ann Torn FIFE15, George11, John1) was born 08 Jan 1940 in Wellington Wellington New Zealand. Lynette married John Mortimer HISHON  [MRIN: 4456] in 1964 in New Zealand. 405 M i. Stephen HISHON  was born in 1968 in Wellington Wellington New Zealand. 406 M ii. Matthew HISHON  was born in 1970 in Wellington Wellington New Zealand. Lynette next married Rory THOMAS  [MRIN: 4457] about 1975. 407 F i. Sarah THOMAS  was born about 1976. 193. Ursula Louise INSTONE  (Eva Marie Adrienne BEERE99, Eva Beatrice Rhoda THANE49, Diana BISHOP25, Ann Torn FIFE15, George11, John1) was born 07 Dec 1940 in Wellington Wellington New Zealand. 408 M i. Andrew Hamer INSTONE  was born 06 Feb 1967 in Wellington Wellington New Zealand. 194. Averill Barbara INSTONE  (Eva Marie Adrienne BEERE99, Eva Beatrice Rhoda THANE49, Diana BISHOP25, Ann Torn FIFE15, George11, John1) was born 30 Aug 1945 in Wellington Wellington New Zealand. Averill married John Alexander WATERS  [MRIN: 4458] in 1966 in New Zealand. John was born 24 Aug 1942 in Wellington Wellington New Zealand. 409 F i. Erica Catherine WATERS  was born 27 Jun 1970 in Auckland Auckland New Zealand. 410 F ii. Vivienne Nicola WATERS  was born 28 Feb 1972 in Auckland Auckland New Zealand. 411 M iii. Peter Alexander WATERS  was born 30 Nov 1974 in Auckland Auckland New Zealand. 412 M iv. David Neal WATERS  was born 12 Feb 1978 in Auckland Auckland New Zealand. 195. Antony Neal INSTONE  (Eva Marie Adrienne BEERE99, Eva Beatrice Rhoda THANE49, Diana BISHOP25, Ann Torn FIFE15, George11, John1) was born 14 Mar 1950 in Wellington Wellington New Zealand. Antony married Anette Cecelia EYRES  [MRIN: 4459] in 1971 in New Zealand. 413 M i. Timothy Jason INSTONE  was born 20 Jun 1976 in Wellington Wellington New Zealand. 414 M ii. Michael Oliver INSTONE  was born 06 Mar 1982 in Wellington Wellington New Zealand. 415 F iii. Karin Anne INSTONE  was born in 1982 in Wellington Wellington New Zealand. 416 F iv. Penelope Jane INSTONE  was born 28 May 1984 in Wellington Wellington New Zealand. 196. David John THANE  (John Seymour THANE100, Edward William Theodore THANE52, Diana BISHOP25, Ann Torn FIFE15, George11, John1) was born in 1937 in Foxton Wellington New Zealand. David married Denise Robyn DAVIS  [MRIN: 4460] in 1961 in New Zealand. 417 M i. Craig Allan THANE  was born in 1961 in Palmerston North Manawatu New Zealand. 418 F ii. Leanne Robyn THANE  was born in 1962 in Palmerston North Manawatu New Zealand. 419 F iii. Lisa Maree THANE  was born in 1968 in Fielding Manawatu New Zealand. 197. Denise Ellen THANE  (John Seymour THANE100, Edward William Theodore THANE52, Diana BISHOP25, Ann Torn FIFE15, George11, John1) was born in 1943 in Foxton Wellington New Zealand. Denise married Colin Arthur CAVANAGH  [MRIN: 4461] in 1963 in New Zealand. 420 M i. Russell john CAVANAGH  was born in 1966 in Fielding Manawatu New Zealand. 421 M ii. Stephen Ross CAVANAGH  was born in 1968 in Fielding Manawatu New Zealand. 422 F iii. Vicki Marie CAVANAGH  was born in 1972 in Fielding Manawatu New Zealand. 199. Graham Francis COLLINS  (Rita Lois THANE101, Edward William Theodore THANE52, Diana BISHOP25, Ann Torn FIFE15, George11, John1) was born 16 Aug 1940 in Palmerston North Manawatu New Zealand. Married Jenifer Anne CLEMENTS on 6 July 1963, and had 3 children. Gt Gt Grandfather - James COLLINS born in 1800 in Louth, Co. Louth, Ireland. He was educated at Trinity College in Dublin, became Vicar of Denn and Dean of Killala, and Chaplain to the Lord Lieutenant of Ireland, and graduated with a BA, BD & DD. He married Elizabeth ERSKINE in 1828 and had 10children. Their eldest was James Francis COLLINS. Graham married Jenifer Anne CLEMENTS  [MRIN: 448], daughter of Unknown and Unknown, 06 Jul 1963 in Christchurch Canterbury New Zealand. Jenifer was born 01 Jan 1942 in Christchurch Canterbury New Zealand. • Divorce: 22 Apr 1996. + 423 F i. Toni Leah COLLINS  was born 20 Dec 1967 in Tauranga BOP New Zealand. + 424 F ii. Ainslee Claire COLLINS  was born 23 Nov 1969 in Tauranga New Zealand. 425 M iii. Timothy Graham COLLINS  was born 05 Sep 1974 in Rotorua Waikato New Zealand. Timothy married Irina Vladimirovna SHISHOVA  [MRIN: 10642], daughter of Vladimir Ivanovich SHISHOV  and Inna Sergeevna MARTINOVA , 25 Jul 2003 in Moscow Moskva Russia. Irina was born 15 May 1979 in Moscow Moskva Russia. 200. Clive Desmond COLLINS  (Rita Lois THANE101, Edward William Theodore THANE52, Diana BISHOP25, Ann Torn FIFE15, George11, John1) was born 13 Feb 1944 in Palmerston North Manawatu New Zealand. Clive married Leslie May SMITH  [MRIN: 449], daughter of Unknown and Unknown, 18 Nov 1967 in Christchurch Canterbury New Zealand. Leslie was born 28 Mar 1948 in Christchurch Canterbury New Zealand. + 426 M i. Carl Leigh COLLINS  was born 09 Feb 1969 in Christchurch Canterbury New Zealand. 201. Katherine Lois COLLINS  (Rita Lois THANE101, Edward William Theodore THANE52, Diana BISHOP25, Ann Torn FIFE15, George11, John1) was born 18 Feb 1949 in Wanganui New Zealand and died 03 Sep 2001 at age 52. Katherine married Richard Anthony PEARSE  [MRIN: 4462] 10 Jul 1969 in Christchurch Canterbury New Zealand. Richard was born 11 Dec 1945. 427 M i. James Richard PEARSE  was born 19 Jan 1973 in Ascot Surrey England. 428 F ii. Sarah Katherine PEARSE  was born 15 Jan 1976 in Christchurch Canterbury New Zealand. 429 M iii. Edward Charles PEARSE  was born 20 Aug 1978 in Christchurch Canterbury New Zealand. Katherine next married Wilfred Edward Dampney TURNER  [MRIN: 4463] 25 Jul 1997 in Christchurch Canterbury New Zealand. Wilfred was born about 1945. 203. Robin Beverely THANE  (Malcolm Bentley THANE103, Edward William Theodore THANE52, Diana BISHOP25, Ann Torn FIFE15, George11, John1) was born 27 Apr 1953 in Wellington Wellington New Zealand. Robin married Richard John NAYLOR  [MRIN: 4465] in 1977 in New Zealand. 430 M i. Christopher David NAYLOR  was born in 1977 in Wellington Wellington New Zealand. 431 M ii. Jeremy Edward NAYLOR  was born 01 Oct 1982 in Wellington Wellington New Zealand. 204. Rosalie Nita THANE  (Malcolm Bentley THANE103, Edward William Theodore THANE52, Diana BISHOP25, Ann Torn FIFE15, George11, John1) was born 08 Nov 1956 in Dunedin Otago New Zealand. Rosalie married Digby Bryn BELL  [MRIN: 4466] in 1975 in New Zealand. 432 M i. Andrew Bryn BELL  was born in 1977 in Wellington Wellington New Zealand. 433 F ii. Juliet Margaret BELL  was born 14 Oct 1981 in Wellington Wellington New Zealand. 205. Michael Desmond JOHNSON  (Pauline Winifred THANE104, Edward William Theodore THANE52, Diana BISHOP25, Ann Torn FIFE15, George11, John1) was born 13 Oct 1949 in Wellington Wellington New Zealand. Michael married Janice Kay ROSS  [MRIN: 4467] 17 Oct 1970 in St.Columba Johnsonville Wellington New Zealand. Janice was born 15 Sep 1949 in Putaruru Waikato New Zealand. 434 M i. Joseph Michael JOHNSON  was born 22 Apr 1978 in Christchurch Canterbury New Zealand. 435 M ii. Benjamin Andrew JOHNSON  was born 17 Nov 1980 in Christchurch Canterbury New Zealand. 206. Kenneth MacRae JOHNSON  (Pauline Winifred THANE104, Edward William Theodore THANE52, Diana BISHOP25, Ann Torn FIFE15, George11, John1) was born 10 Sep 1952 in Wellington Wellington New Zealand. Kenneth married Christine Ainsley MORSHEAD  [MRIN: 4468] in 1977 in St.Mary's Karori Wellington New Zealand. Christine was born 06 May 1957 in Wellington Wellington New Zealand. 436 F i. Kimbra Lee JOHNSON  was born 26 Mar 1990 in Hamilton Waikato New Zealand. 437 M ii. Matthew JOHNSON  was born 22 Jul 1991. 207. Rosemary Anne JOHNSON  (Pauline Winifred THANE104, Edward William Theodore THANE52, Diana BISHOP25, Ann Torn FIFE15, George11, John1) was born 12 Oct 1954 in Wellington Wellington New Zealand. Rosemary married John Russell STRAHL  [MRIN: 4469] 29 Nov 1975 in St.Columba Johnsonville Wellington New Zealand. John was born 26 Jul 1950 in Dunstan Otago New Zealand. 438 M i. Daniel John STRAHL  was born 28 Jan 1981 in Wellington Wellington New Zealand. 439 F ii. Anna Catherine STRAHL  was born 21 Jul 1983 in Lower Hutt Wellington New Zealand. 440 F iii. Rachel Elizabeth STRAHL  was born 30 May 1987 in Lower Hutt Wellington New Zealand. 214. Janet Clemency SADLIER  (Shirley KING107, Edith Lois THANE55, Diana BISHOP25, Ann Torn FIFE15, George11, John1) was born 04 Dec 1946 in Hamilton Waikato New Zealand. Janet married Michael Trevor MOLONEY  [MRIN: 4470] in 1970. Michael died 24 Apr 1996. + 441 M i. Brendon Michael Maru MOLONEY  was born 18 Feb 1975 in Kawakawa Northland New Zealand. 442 F ii. Kerensa Rose MOLONEY  was born 25 Nov 1977 in Kawakawa Northland New Zealand. 215. Paul Gilbert Wilson SADLIER  (Shirley KING107, Edith Lois THANE55, Diana BISHOP25, Ann Torn FIFE15, George11, John1) was born 17 Aug 1948 in Hamilton Wailato New Zealand. Paul married Patricia Marianne HARVEY  [MRIN: 4471] in 1973 in New Zealand. 443 M i. George Thomas SADLIER  was born 04 Apr 1977 in Wellington Wellington New Zealand. 444 M ii. Heath Andrew SADLIER  was born 11 Nov 1979 in Wellington Wellington New Zealand. Paul next married Robyn  [MRIN: 4472] about 1985. 216. Louise Annette SADLIER  (Shirley KING107, Edith Lois THANE55, Diana BISHOP25, Ann Torn FIFE15, George11, John1) was born 11 Dec 1950 in Hamilton Wailato New Zealand. Louise married Michael Leslie CHAPMAN  [MRIN: 4473] in 1976 in New Zealand. Michael was born 11 Jun 1945 in Auckland Auckland New Zealand. 445 M i. Nicholas Michael CHAPMAN  was born 29 Sep 1977 in Dunedin Otago New Zealand. 446 M ii. Jeremy Matthew CHAPMAN  was born 16 Sep 1980 in North Shore Auckland New Zealand. 447 F iii. Anne Elizabeth CHAPMAN  was born 01 Apr 1983 in North Shore Auckland New Zealand and died 26 Apr 1983. 448 F iv. Sarah Louise CHAPMAN  was born 18 Jun 1984 in North Shore Auckland New Zealand. 217. Andrew Thane SADLIER  (Shirley KING107, Edith Lois THANE55, Diana BISHOP25, Ann Torn FIFE15, George11, John1) was born 28 Oct 1955 in New Plymouth Taranaki New Zealand. Andrew married Julie May GREENMAN  [MRIN: 4474] in 1976 in New Zealand. 449 M i. Thane Marcus Holloway SADLIER  was born in 1977 in Hamilton Waikato New Zealand. 450 M ii. Daniel James SADLIER  was born in 1980 in Hamilton Waikato New Zealand. 451 F iii. Emily June SADLIER  was born in 1984 in Auckland Auckland New Zealand. 452 M iv. Thomas Desmond SADLIER  was born in 1988 in Auckland Auckland New Zealand. 218. Matthew John SADLIER  (Shirley KING107, Edith Lois THANE55, Diana BISHOP25, Ann Torn FIFE15, George11, John1) was born 16 Sep 1958 in Taumarunui King Country New Zealand. Matthew married Joanne Helen DINNISS  [MRIN: 4475] in 1981 in New Zealand. 453 F i. Jane Louise SADLIER  was born in 1986 in Hamilton Waikato New Zealand. 454 M ii. Mark Thomas SADLIER  was born in 1987 in Hamilton Waikato New Zealand. 455 M iii. Paul Barry SADLIER  was born in 1990 in Hamilton Waikato New Zealand. 219. David Robert KING  (Arnold Thane KING108, Edith Lois THANE55, Diana BISHOP25, Ann Torn FIFE15, George11, John1) was born 17 Dec 1951 in Christchurch Canterbury New Zealand. David married Ngaire Anne O'NEALE  [MRIN: 4552] in 1977 in New Zealand. 456 M i. Anthony Donald KING  was born in 1978 in Wellington Wellington New Zealand. 457 M ii. Patrick Arnold KING  was born in 1981 in Wellington Wellington New Zealand. 220. Peter Gilbert KING  (Arnold Thane KING108, Edith Lois THANE55, Diana BISHOP25, Ann Torn FIFE15, George11, John1) was born 27 Jan 1953 in Christchurch Canterbury New Zealand. Peter married Gloria Kay SHAW  [MRIN: 4553] in 1975 in New Zealand. 458 F i. Nicola Helen KING  was born in 1976 in Wellington Wellington New Zealand. 459 F ii. Angela Marie KING  was born in 1977 in Wellington Wellington New Zealand. 460 F iii. Melanie Jane KING  was born in 1978 in Upper Hutt Wellington New Zealand. 461 F iv. Jessica Margaret KING  was born in 1980 in Wellington Wellington New Zealand. 221. Stephen Joseph KING  (Arnold Thane KING108, Edith Lois THANE55, Diana BISHOP25, Ann Torn FIFE15, George11, John1) was born 10 Dec 1955 in Wellington Wellington New Zealand. Stephen married Grace Eileen BOOMERT  [MRIN: 4554] in 1980 in New Zealand. 462 F i. Monique Ahi KING  was born in 1981 in Masterton Wairarapa New Zealand. 463 F ii. Sarah Maria KING  was born in 1985 in Masterton Wairarapa New Zealand. 222. Marion Patricia KING  (Arnold Thane KING108, Edith Lois THANE55, Diana BISHOP25, Ann Torn FIFE15, George11, John1) was born 17 Oct 1958 in Wellington Wellington New Zealand. Marion married Neville William SIMPSON  [MRIN: 4555] in 1982 in New Zealand. 464 F i. Tracey Marion SIMPSON  was born in 1985 in Wellington Wellington New Zealand. 465 M ii. Michael William SIMPSON  was born in 1988 in Christchurch Canterbury New Zealand. 466 M iii. Andrew Marcus SIMPSON  was born in 1990 in Wellington Wellington New Zealand. 224. Christopher Larmor KING  (David Thane KING109, Edith Lois THANE55, Diana BISHOP25, Ann Torn FIFE15, George11, John1) was born in 1952 in Auckland Auckland New Zealand. • Occupation: Colonel in the U.S.A.F. and a Dentist in Virginia. Christopher married UNKNOWN  [MRIN: 423], daughter of Unknown and Unknown. 467 F i. Daughter KING  . 468 F ii. Daughter KING  . 231. Tamsin Rachel FERRIS  (Judith Vere KING110, Edith Lois THANE55, Diana BISHOP25, Ann Torn FIFE15, George11, John1) was born in 1965 in Whangarei Northland New Zealand. Tamsin married Timothy John DAVIES-COLLIE  [MRIN: 4476] in Jan 1986 in Anglican Church Whangarei New Zealand. 469 F i. Mary Elizabeth DAVIES-COLLIE  was born in 1988 in Westport Westland New Zealand. 236. Ann Graeme WILSON  (Clunie ANNABELL113, Mary Henton BISHOP57, John Clunie BISHOP27, Ann Torn FIFE15, George11, John1) was born 08 Mar 1942 in Wanganui New Zealand. Ann married Keith Charles MORCOM  [MRIN: 1134], son of Unknown and Unknown, 08 Jan 1964 in New Zealand. Keith was born in 1941 in Putaruru Waikato New Zealand. + 470 F i. Helen Grace MORCOM  was born in 1965. + 471 F ii. Janet Graeme MORCOM  was born in 1967 in Whitianga New Zealand. + 472 M iii. Graham Keith Charles MORCOM  was born in 1967 in Whitianga New Zealand. 473 M iv. Christopher Paul MORCOM  was born 22 Dec 1987 in Whitianga Coromandel New Zealand. 237. Katherine Clunie WILSON  (Clunie ANNABELL113, Mary Henton BISHOP57, John Clunie BISHOP27, Ann Torn FIFE15, George11, John1) was born 09 Apr 1945 in Te Aroha Waikato New Zealand. Katherine married Clifford Donald John CROSSMAN  [MRIN: 1143], son of Unknown and Unknown, 10 May 1967. Clifford was born in 1944 in Reefton Nelson New Zealand. 474 M i. Glenn Donald John CROSSMAN  was born in 1971 in Tauranga Bay of Plenty New Zealand. 475 M ii. Christopher David CROSSMAN  was born in 1974 in Tauranga Bay of Plenty New Zealand. Christopher married Vicki  [MRIN: 4732] about 1997. 238. Elizabeth Mary WILSON  (Clunie ANNABELL113, Mary Henton BISHOP57, John Clunie BISHOP27, Ann Torn FIFE15, George11, John1) was born 13 Oct 1948 in Reefton Nelson New Zealand and died in 1978 in Hamilton Waikato New Zealand at age 30. The cause of her death was suicide. Another name for Elizabeth was Libby. Elizabeth married Lloyd Prior WILLIAMS  [MRIN: 1144], son of Unknown and Unknown, 21 Dec 1968. Lloyd was born in 1946 in Auckland Auckland New Zealand. 476 M i. Gareth Gow Prior WILLIAMS  was born in 1972 in Christchurch Canterbury New Zealand. 239. Peter John Graham WILSON  (Clunie ANNABELL113, Mary Henton BISHOP57, John Clunie BISHOP27, Ann Torn FIFE15, George11, John1) was born 06 Jan 1950 in Reefton Nelson New Zealand. Peter married Kathryn Frances LYE  [MRIN: 1145], daughter of Unknown and Unknown, 20 May 1970 in New Zealand. Kathryn was born in 1950 in Taupiri Waikato New Zealand. 477 F i. Katya WILSON-LYE  was born in 1971 in Christchurch Canterbury New Zealand. 478 F ii. Rebekah Ann WILSON-LYE  was born in 1974 in Hastings Hawke's Bay New Zealand. 240. Lois Ruth WILSON  (Clunie ANNABELL113, Mary Henton BISHOP57, John Clunie BISHOP27, Ann Torn FIFE15, George11, John1) was born 27 Dec 1952 in Reefton Nelson New Zealand. Lois married Kiwi Patrick SEARANCKE  [MRIN: 1146], son of Unknown and Unknown, 01 Nov 1975 in New Zealand. Kiwi was born about 1952 in Te Awamutu New Zealand. Former Waikato rugby club coach. On 28-6-2002, Glasgow, Scotland appointed Kiwi as new head coach. 479 M i. Benjamin Kereama SEARANCKE  was born in 1977 in Te Awamutu Waikato New Zealand. 480 F ii. Emma Clunie SEARANCKE  was born in 1979 in Te Awamutu Waikato New Zealand. 481 F iii. Kate Nancy SEARANCKE  was born in 1981. 241. Robert Norman WILSON  (Clunie ANNABELL113, Mary Henton BISHOP57, John Clunie BISHOP27, Ann Torn FIFE15, George11, John1) was born 30 May 1957 in Te Aroha Waikato New Zealand. General Notes:Robert & Susan separated 1995. Robert married Susan Jane FISHER  [MRIN: 1147], daughter of Unknown and Unknown, in Aug 1979 in New Zealand. Susan was born in 1961 in Lower Hutt Wellington New Zealand. 482 F i. Charma Ann WILSON  was born in 1982 in Hamilton Waikato New Zealand. 483 M ii. Robert Jeremy WILSON  was born in 1984 in Hamilton Waikato New Zealand. 484 M iii. Michael John WILSON  was born in 1987 in Hamilton Waikato New Zealand. Robert next married Rose BROUWER  [MRIN: 1148], daughter of Unknown and Unknown, in 1998. 242. Heather Margaret WILSON  (Clunie ANNABELL113, Mary Henton BISHOP57, John Clunie BISHOP27, Ann Torn FIFE15, George11, John1) was born 30 May 1961 in Hamilton Waikato New Zealand. Heather married Glenn MARTIN  [MRIN: 1149], son of Unknown and Unknown, in 1992. 485 F i. Lucy Vivienne MARTIN  was born 28 Jan 1994. Heather next married John DULIEU  [MRIN: 1150], son of Unknown and Unknown, 11 Sep 1999 in Whitianga New Zealand. John was born about 1969 in Australia. 486 M i. Wilson DULIEU  was born in 2000 in Sydney NSW Australia. 487 M ii. Baxter John DULIEU  was born 22 Mar 2002 in Sydney NSW Australia. 488 M iii. Jordan Robert DULIEU  was born 22 Mar 2002 in Sydney NSW Australia. 243. Vicary Anne BISHOP  (Donald John Vicary BISHOP115, John Montague BISHOP58, John Clunie BISHOP27, Ann Torn FIFE15, George11, John1) was born 29 Apr 1957 in Pahiatua Wairarapa New Zealand. Vicary married Michael TOYE  [MRIN: 199], son of Unknown and Unknown, 05 Oct 1984 in New Zealand. Michael was born 01 Oct 4712. 489 F i. Catlin Daisy TOYE  was born 05 Apr 1988 in Christchurch Canterbury New Zealand. 490 M ii. Alexander Montague Bennett TOYE  was born 22 Oct 1990 in Christchurch Canterbury New Zealand. 491 M iii. Hugo William TOYE  was born 29 Oct 1994 in Christchurch Canterbury New Zealand. 244. Patricia Jan BISHOP  (Donald John Vicary BISHOP115, John Montague BISHOP58, John Clunie BISHOP27, Ann Torn FIFE15, George11, John1) was born 17 Jun 1959 in Pahiatua Wairarapa New Zealand. Patricia married Graham JEFFREY  [MRIN: 200], son of Unknown and Unknown, 21 Apr 1984 in New Zealand. Graham was born 20 Dec 4712. 492 F i. Elizabeth Sarah JEFFREY  was born 02 Oct 1985 in Timaru New Zealand. 493 F ii. Emily Jane JEFFREY  was born 06 Mar 1989 in Timaru New Zealand. 245. David John Montague BISHOP  (Donald John Vicary BISHOP115, John Montague BISHOP58, John Clunie BISHOP27, Ann Torn FIFE15, George11, John1) was born 16 Oct 1964 in Christchurch Canterbury New Zealand. At present holds the family bible from Bath, being the Male line from there. David married Christiana WHITING  [MRIN: 201], daughter of Unknown and Unknown, 08 Jun 1991 in New Zealand. Another name for Christiana is Chrissey. 494 M i. Jonathon Moses BISHOP  was born 03 May 1993 in New Plymouth Taranaki New Zealand. 495 F ii. Sarah Joy BISHOP  was born 16 Jan 1996 in New Plymouth Taranaki New Zealand. 246. Kathryn Isobel O'BRIEN  (Isobel Rosemary TAYLOR116, Edith Muriel BISHOP60, John Clunie BISHOP27, Ann Torn FIFE15, George11, John1) was born 04 Jul 1964 in Lower Hutt Wellington New Zealand. 496 M i. Alistair James BROWNLIE  was born 10 Mar 1994 in Wellington Wellington New Zealand. 497 M ii. Lachlan Taylor BROWNLIE  was born 06 Oct 1996 in Wellington Wellington New Zealand. 498 F iii. Elsie Merle BROWNLIE  was born 07 Dec 1998 in Wellington Wellington New Zealand. 248. Sharon Ruth O'BRIEN  (Isobel Rosemary TAYLOR116, Edith Muriel BISHOP60, John Clunie BISHOP27, Ann Torn FIFE15, George11, John1) was born 19 Jan 1969 in Lower Hutt, New Zealand. 499 M i. Lucas Allan MANSSEN  was born 05 Nov 1999 in Bankok Thailand. 500 F ii. Sarah Ashley MANSSEN  was born 20 Mar 2001 in Auckland Auckland New Zealand. 253. John Gordon DAVIDSON  (Helen Rosalyn TAYLOR117, Edith Muriel BISHOP60, John Clunie BISHOP27, Ann Torn FIFE15, George11, John1) was born 28 Jul 1973 in Kabul Afghanistan. 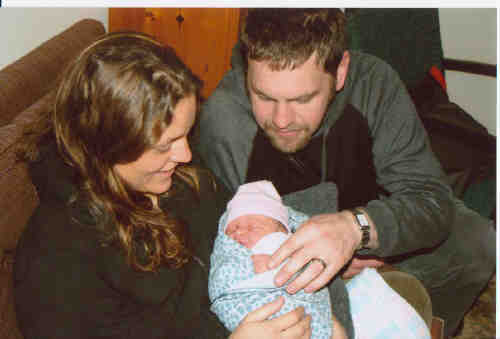 501 F i. Mikaela Elisabeth DAVIDSON  was born 06 Nov 2006. 255. Stuart Graham ROBERTSON  (Sylvia Edith TAYLOR118, Edith Muriel BISHOP60, John Clunie BISHOP27, Ann Torn FIFE15, George11, John1) was born 24 Dec 1968 in Te Aroha Waikato New Zealand. Stuart married Fiona Rose MAIR  [MRIN: 977], daughter of John Edward MAIR  and Patricia Ann PATTERSON , 28 Sep 1991 in St.Laurence Wanganui New Zealand. Fiona was born 13 Jan 1972 in Wanganui New Zealand. 502 F i. Rebecca Jane ROBERTSON  was born 05 Feb 1992 in Palmerston North New Zealand. 503 F ii. Natasha Rose ROBERTSON  was born 05 Mar 1997 in Wanganui New Zealand. 256. Karen Sylvia ROBERTSON  (Sylvia Edith TAYLOR118, Edith Muriel BISHOP60, John Clunie BISHOP27, Ann Torn FIFE15, George11, John1) was born 02 Nov 1971 in Wellington Wellington New Zealand. 504 M i. Logan Hunter ROBERTSON  was born 06 Jul 1995 in Taihape Rangitikei New Zealand. 259. Ann Jocelyn SCRYMGEOUR  (Alastair Neil SCRYMGEOUR120, Ellen Gwendoline BISHOP62, Allan BISHOP28, Ann Torn FIFE15, George11, John1) was born 05 Apr 1968 in Dunedin Otago New Zealand. Ann married Bruce William HORNER  [MRIN: 4480] 12 Aug 1989 in New Zealand. 505 F i. Rebecca HORNER  was born 13 Sep 1999 in Dunedin Otago New Zealand. 506 F ii. Elizabeth HORNER  was born 23 May 2001 in Dunedin Otago New Zealand. 289. Penrhyn Jane MILLAR  (Ellen Jill HOTOP131, May Doreen BISHOP67, Allan BISHOP28, Ann Torn FIFE15, George11, John1) was born 08 Feb 1955 in Dunedin Otago New Zealand. Penrhyn married Clive Burns KIRKLAND  [MRIN: 4482]. 507 M i. Nicolas James KIRKLAND  was born in 1981 in Dunedin Otago New Zealand. 508 M ii. Christopher David KIRKLAND  was born in 1983 in Dunedin Otago New Zealand. 299. Cynthia Jane THIRKETTLE  (Prudence Marjorie Fife NICHOLLS134, James Augustus NICHOLLS68, Helen Maude Mary BISHOP31, Ann Torn FIFE15, George11, John1) was born 31 Oct 1958 in Auckland Auckland New Zealand. Prue & Horace had a daughter, Cynthia. Cynthia had a daughter (called her Tania) born 13 May 1976 by Mike STEPHENS, who was adopted. Her adoptive parents called her Felicity, and she found her natural mother when she turned 21. Cynthia & Felicity both design and sew. Mike worked in the P.O., then as a Traffic cop, and now is a cop in Twizel. (Told by Elizabeth NICHOLLS, her Aunt in '98). Cynthia married Michael Leonard STEPHENS  [MRIN: 1173], son of Unknown and Unknown, 05 May 1979 in Temuka Canterbury New Zealand. Michael was born 17 Feb 1959 in Temuka Canterbury New Zealand. 509 M i. Benjamin Michael Leonard STEPHENS  was born 29 Aug 1986 in Christchurch Canterbury New Zealand. 510 M ii. Andrew David Taylor STEPHENS  was born 08 Aug 1988 in Christchurch Canterbury New Zealand. 511 F iii. Victoria Alice Jane STEPHENS  was born 12 Jan 1991. 512 M iv. James Patrick George STEPHENS  was born 16 May 1993. 300. Alison Marjorie THIRKETTLE  (Prudence Marjorie Fife NICHOLLS134, James Augustus NICHOLLS68, Helen Maude Mary BISHOP31, Ann Torn FIFE15, George11, John1) was born 21 Jun 1963 in Auckland Auckland New Zealand. Alison married Kenneth Thomas TAWHARU  [MRIN: 1175], son of Jack TAWHARU  and Unknown, 26 May 1990 in Palmerston North Manawatu New Zealand. 513 M i. Nathan Kaimataia TAWHARU  was born 24 Dec 1993. 514 F ii. Georgia Fife Mary TAWHARU  was born 07 Dec 1995. 303. Sarah Copelia Anne Marie NICHOLLS  (Peter Clement Fyfe NICHOLLS137, James Augustus NICHOLLS68, Helen Maude Mary BISHOP31, Ann Torn FIFE15, George11, John1) was born 26 Sep 1965 in Auckland Auckland New Zealand. Sarah married Shaun BAILEY  [MRIN: 1181], son of Unknown and Unknown. 515 F i. Marcia Mae NICHOLLS  was born 28 May 1984 in Dunedin Otago New Zealand. 516 F ii. Whitney Anahera NICHOLLS  was born 30 Jan 1988 in Dunedin Otago New Zealand. 517 M iii. Peter Trent Maxwell NICHOLLS  was born 18 Jun 1989 in Dunedin Otago New Zealand. 518 M iv. Jack NICHOLLS  was born in Oct 1993. 519 F v. Lottie BAILEY  was born in Nov 1997. 314. Jonathon Todd LINDSAY  (Olive Babara NICHOLLS141, Allan William NICHOLLS72, Helen Maude Mary BISHOP31, Ann Torn FIFE15, George11, John1) was born 20 May 1969 in Invercargill Southland New Zealand. Jonathon married Maria Charlotte  [MRIN: 1190], daughter of Unknown and Unknown, about 1993. 520 F i. Charlotte LINDSAY  . 521 M ii. Leon LINDSAY  .